Discussion in 'Android Apps & Games' started by wildroid, Apr 26, 2012. 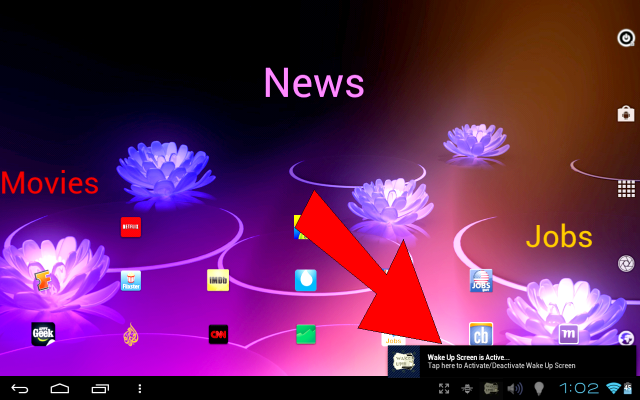 Wake Up Screen is a fun, handy and useful tool app. It allows you to wake up the screen upon shaking the tablet or phone and saves the power and other buttons that you use to turn on the device. It works great during cold weather when you have your gloves on or when you don&#8217;t have your glasses on and can&#8217;t easily find the power button. 2. This app requires &#8220;boot&#8221; and &#8220;keep screen on&#8221; permissions upon installations. 3. This app may not function on rooted devices that disable &#8220;wake screen&#8221; activity.